Review: This was a creative, unique and delicious read. 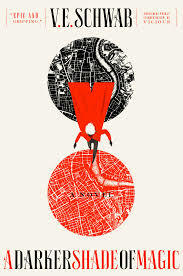 I enjoyed every character, loved the world comprised of different London's (Grey-the London we know, Red-a magical London that is prosperous and White-a dangerous and magical place) and didn't want to put it down. Can't wait for the next book in the series!